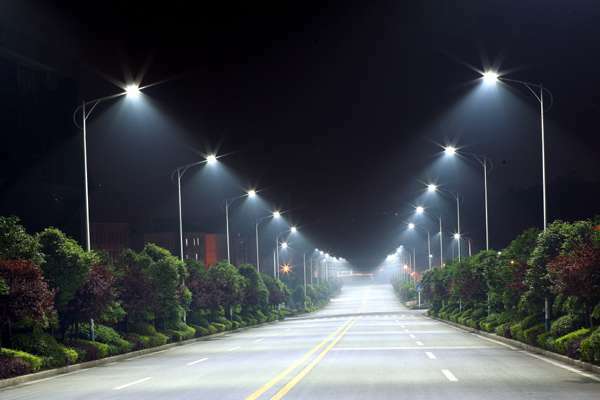 LED street lighting can be tailored to reduce its impacts on the environment, according to new research by the University of Exeter. The UK-based study found predatory spiders and beetles were drawn to grassland patches lit by LED lighting at night, but the number of species affected was markedly reduced when the lights were dimmed by 50% and switched off between midnight and 4am. LEDs made up just 9% of the global lighting market in 2011, but forecasts suggest they will account for 69% by 2020. This has led to concerns about their effects on plants and animals, and the Exeter scientists say research is urgently needed to understand how best to prevent unforeseen ecological effects. "We are making fundamental changes to the way we light the night-time environment, with potentially profound consequences for a range of species," said Dr Thomas Davies, of the Environment and Sustainability Institute at the University of Exeter's Penryn Campus. "The growth of LED lighting is an issue of global concern, and the number of documented impacts on the environment is growing rapidly. "Our research shows that local authorities might be able to manage LED lighting in a way that reduces its environmental impacts. We now need to establish whether this is the case for a greater variety of species. "Without appropriate management, our results suggest that the growing use of LED lighting will have impacts on the abundance of predatory invertebrates, potentially leading to knock on effects for other species in grassland food-webs." The researchers compared the ecological impacts of a range of lighting strategies being used by local authorities to save money and cut CO2 emissions - including changing the spectrum of colours produced by the lights, dimming them and switching them off from midnight to 4am. Dr Davies added: "While these approaches helped to reduce the number of ground dwelling spider and beetle species affected by LED lighting to varying degrees, our study also shows that avoiding these impacts may ultimately require avoiding the use of LEDs and night-time lighting more generally." More information: "Multiple night-time LED lighting strategies impact grassland invertebrate assemblages," Global Change Biology, 2017. While LED's may be good for your pocket book the LED's more so in the blue spectrum can actually be bad for your health, I'm curious if this carries over to the insect world and as to what spectrum the LED's used in Street lights are. Changing the spectrum might help with the beetles and spiders, but might attract other species. The problem is primarily a design problem based on an old paradigm. The picture is a perfect example. The lights are installed so high, that they actually illuminate the tops of the trees and other vegetation. Waste and light pollution. As a Consulting Arborist, I routinely speak about planning and placing lighting lower, where the light is actually needed, and planting trees (we're always complaining about canopy loss in our cities) that can grow over the lights, unobstructed. The old paradigm guarantees conflict between the 2. The light will then actually reach where it's needed (down) while the tree canopy helps block the light from reaching upward where it obstructs things we really might like to see. We can then also use less powerful lights because they won't need to be as strong to illuminate the ground. This is a planning issue for municipalities and the construction and design industry. Plan ahead with your electric supply as well. Re placing light lower, you need to consider the effect on the total illuminated surface area and the possible need to have more lights to cover any gaps. That and the effect on vision for drivers. This means additional switching electronics. Also turning lights on and off is the point where they have the most 'wear and tear'. This would decrease service/replacement intervals significantly. Both factors would drastically increase maintenance costs. There's reasons why they are installed so high. They must not be in the way of even special cargo transports. An easier way to fix the problem would be to replace the glass covers with ones that have embedded lene systems (much like in automobile headlights) so that the light is only focussed on the roads and that stray light is minimized. "This means additional switching electronics. Also turning lights on and off is the point where they have the most 'wear and tear'. This would decrease service/replacement intervals significantly. "The operating life of a light emitting diode (LED) is unaffected by turning it on and off. While lifetime is reduced for fluorescent lamps the more often they are switched on and off, there is no negative effect on LED lifetime. " Human eyes are far more sensitive to red light than those of most nocturnal species insects which tend to have the greatest sensitivity to the blue end of the spectrum. For most such insects, red light is almost but not quite invisible to them. In addition, out of all the visible spectrum, red light is the least scattered in the atmosphere and thus causes the least problem for astronomers. Basically, red light causes the least light pollution and allows you to see more stars in the sky. So, at the cost of sacrificing the effectiveness of our color vision at night, one compromise to limit light pollution would be to switch to all-red street lights. However, if there are red lights all over the place, this might make it less likely for you to spot a red traffic light amongst them and thus just may make an accident more likely! Better to make sure those red traffic lights are extra bright! It is interesting that it is always the LED and the blue light that causes issues. This is a very undifferentiated view. Even cool white LEDs don't emit more blue light than conventional FL lamps or HID lamps. Only HPS lamps with their almost monochromatic amber color have significant less impact in this respect. But they have other issues. e.g. suppressing plant growth in some species. Nobody talks about the masses of bugs that were attracted by street lights bevor LEDs came into the game. This had also a relevant influence on the eco system. The problem is not that much the LED and its emission spectrum than the light intensity and distribution. It just happens what was already predicted: Lighting has become more efficient, but instead of converting that in energy saving, the light levels were increased in parallel. More areas are becoming illuminated because of the estimated low maintenance and energy costs. The problem is, as in most cases, the dose makes the poison! We're in the midst of one of the largest "die-off" of animals and plants this planet has ever seen. We don't even notice and now we're worried about the spiders making it through the night. Wrong priority. Should be more vocal about the tuna over fishing in the eastern Pacific for example. We pollute the planet with oil/gas drilling and extraction, mining with its toxic ponds and run-off, fertilizer run-off from industrial farms, extracting coal in Svalbard blackening the arctic not to mention all the cities in the world that let their effluent go directly into waterways and the ocean. PCBs are found in the smallest creatures at the deepest parts of the ocean that are 50 times higher than the accepted safe maximum. Now where were we again, oh ya, worried about lights at night affecting the spiders. Cudos for thinking of them but we have other huge issues that will take us down before the spiders disappear.